There are plenty of other videos on the site, including one of Daedalus performing on the 40h at the launch party. And they’re purdy enough to make Steve and Jonathan jealous. I want one. 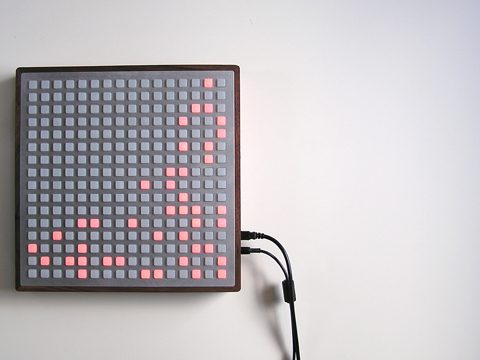 Roy Vanegas’ MIDI pick caught my attention at the ITP Winter Show last year. It’s a pressure-sensitive guitar pick that interfaces with Max/MSP to add effects to your guitar sound. If you’re interested in these kinds of interfaces, you might want to check out the New Interfaces for Musical Expression conference.